thaum 4:45pm, NYOB HAUV ZOS FRESNO, CALIFORNIA. 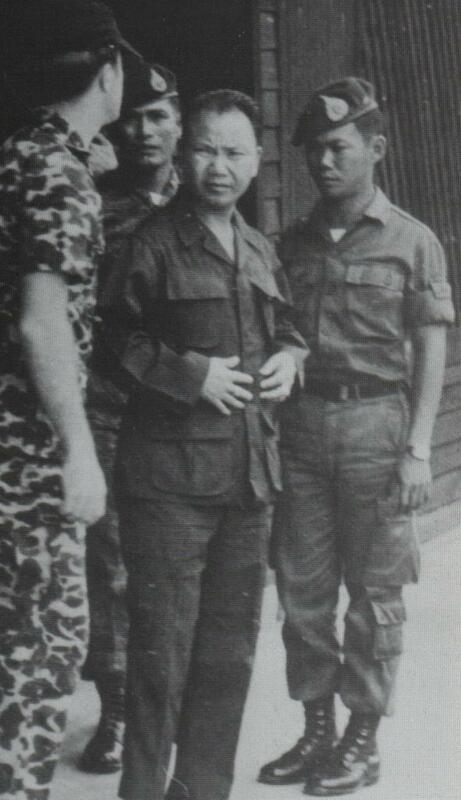 ■Vang Pao, Hmong guerrilla leader, dies in Calif.
Vang Pao, Hmong guerrilla leader, dies in Calif.
Vang Pao, a revered former general in the Royal Army of Laos who led thousands of Hmong guerrillas in a CIA-backed secret army during the Vietnam War, has died. He was 81. 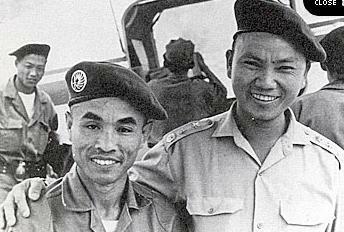 Vang Pao, a former general in the Royal Army of Laos who led thousands of Hmong mercenaries in a CIA-backed secret army during the Vietnam War, has died. He was 81. With just over a week to go before dueling Hmong New Year celebrations face off Dec. 26 in Fresno, organizers of both events say they expect crowds of 100,000. 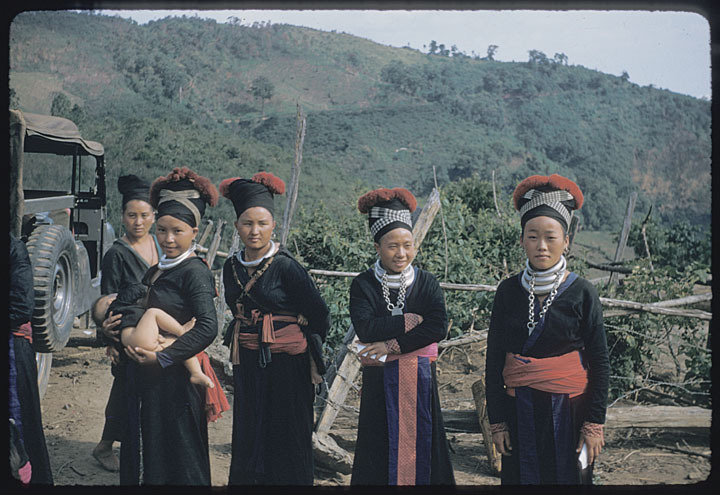 That would essentially double the size of what has long been the biggest Hmong celebration in the Valley -- an event that draws visitors from around the world and creates an opportunity for far-flung families and friends to reunite. But it's hard to tell whether the fight will result in two well-attended events six miles away from each other, or if one of the events will fizzle. A federal judge in Sacramento on Friday threw out a major portion of the grand jury indictment of 12 men on charges of plotting the violent overthrow of the communist regime in Laos. Saying that prosecutors had not included enough information in parts of the indictment to enable the men to defend themselves and, in other parts, did not adequately back up the charges, U.S. District Judge Frank C. Damrell Jr. dismissed two counts of the five-count indictment and significant sections of the omnibus conspiracy count. 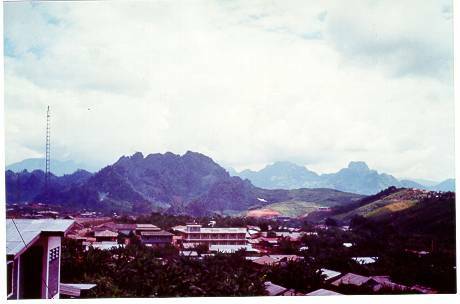 The indictment levels the charges at 11 Hmong Americans with deep roots in Laos and a retired Army lieutenant colonel from Woodland who did two tours in the Vietnam War and is a graduate of West Point. 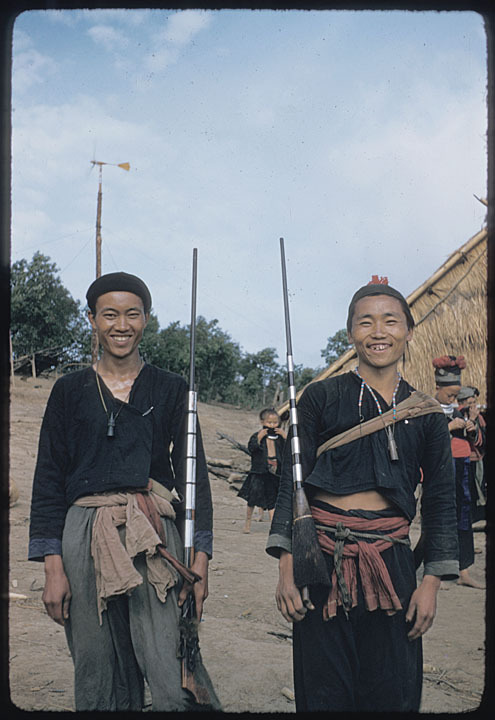 They are accused of attempting to buy weapons from an undercover firearms agent posing as a black market dealer in order to arm Hmong and other insurgents in Laos. Gen. Vang Pao, an iconic figure in the Hmong community and a key U.S. ally during the Vietnam War, died Thursday afternoon in Clovis after spending days in the hospital with pneumonia and a heart problem. Over 100 people crowded into the outpatient care center at Clovis Community Medical Center to grieve the loss of a beloved leader, who some saw as the George Washington of the Hmong. "He was a larger-than-life figure for this community," Fresno City Council member Blong Xiong said. "It will take time to mourn this tragic news." 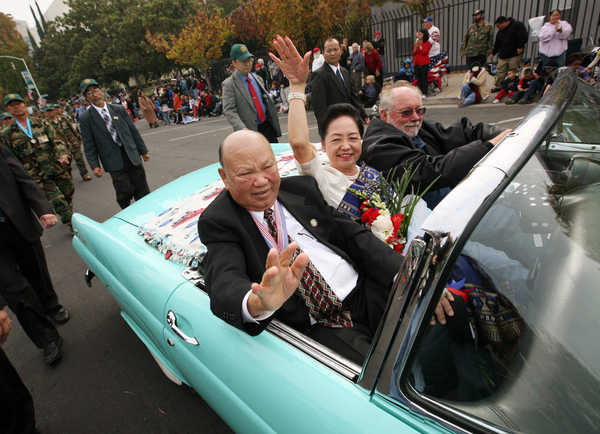 Gen. Vang, 81, had been admitted to Clovis Community on Dec. 26. He apparently was admitted shortly after making his annual appearance at the Hmong International New Year event at the Fresno Fairgrounds. 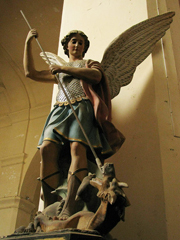 He had lived in Southern California. Charlie Waters, a friend and veterans advocate in Fresno, said Gen. Vang was suffering from pneumonia and an ongoing heart problem. He also had battled diabetes and had developed cataracts in the past few years. Legendary Hmong General Vang Pao surrounded by his interpreter and security personnel during a recent visit to Sacramento. 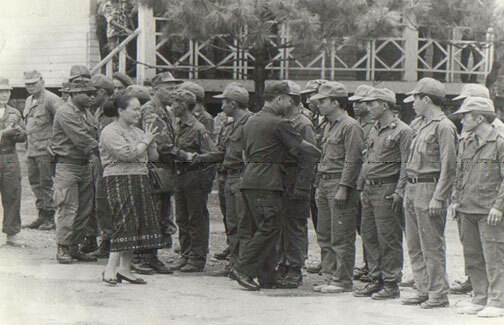 The leader of the CIA's secret Hmong guerrilla army during Vietnam War, the general, addressed local Hmong at the Sacramento Lao Family Community Center, Friday, February 6, 2004. Carl Crawford/The Fresno BeeVang Pao, president of the national Lao Family Community, greets Hmong girls in traditional garb at the opening ceremony of Hmong New Year festivities at Kearney Park in Fresno. Read breaking news updates Gen. Vang "was a great man and a true warrior," Waters said. 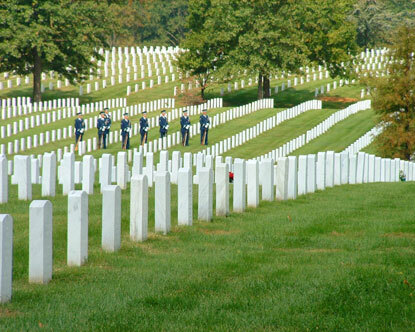 "His two dreams were to get his people out of the jungle and to have his warriors buried at Arlington." News of the death spread quickly Thursday evening. "The Fresno community is deeply saddened by the loss of Gen. Vang Pao, who was a hero to the Hmong community here in Fresno and all across the country," Fresno Mayor Ashley Swearengin said in a statement. 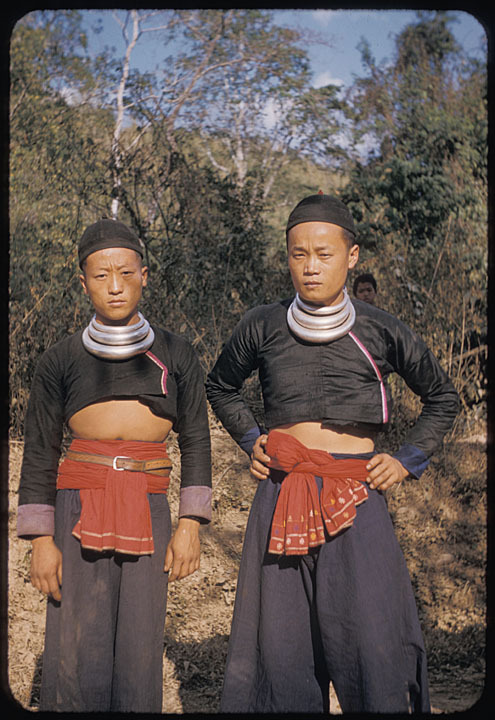 "Gen. Vang Pao was courageous in times of war and a giant in the advocacy of citizenship within the Hmong-American community in times of peace. He displayed the American flag proudly at every community event he held. He was an American patriot of the highest order." Shortly before 8 p.m., the crowd inside the outpatient center parted as Gen. Vang's body was taken out of the hospital. Gen. Vang, dressed in a suit, was rolled on a gurney in view of the crowd to a van to be taken to a Boice Funeral Home in Clovis. More than 100 people went to see him at a viewing at the funeral home Thursday night. Funeral arrangements are being made with the hopes that he can be buried at Arlington National Cemetery in Washington, D.C., family spokesman Chai Vang said. 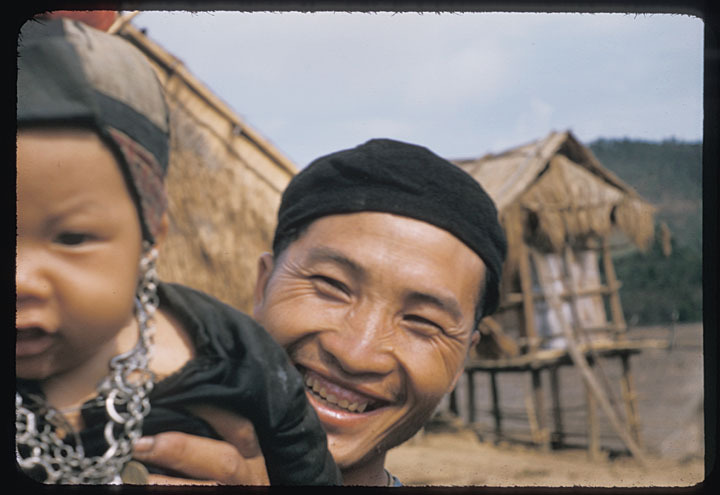 Vang Pao is revered by many as a father figure and leader who helped bring and settle the Hmong community into American life. But he also has been controversial. 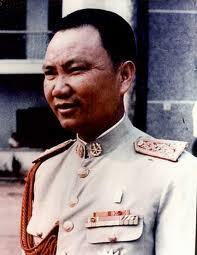 Federal authorities in 2007 charged him and 10 others with conspiring to violently overthrow communist Laos. 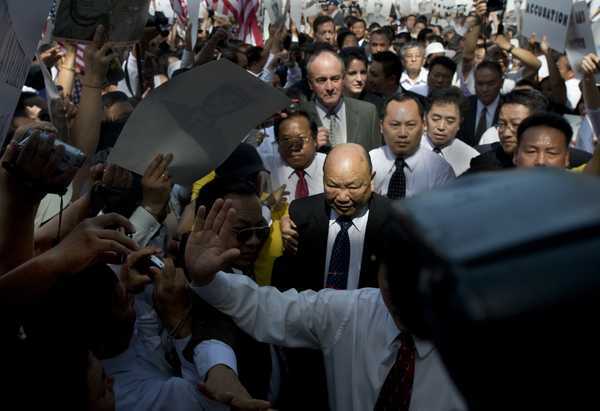 Charges against Gen. Vang were dropped in 2009. 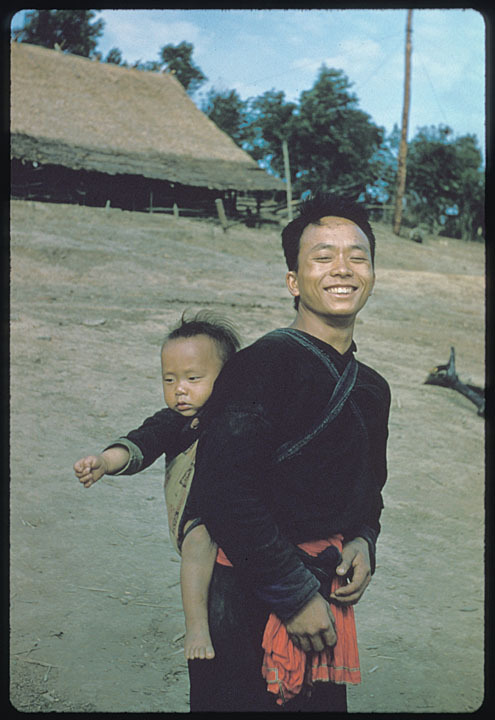 Yet the arrest galvanized Hmong Americans who saw him as a symbol in the fight for public acknowledgment of the Hmong role in the war, and for liberation of those still living in Laotian jungle. 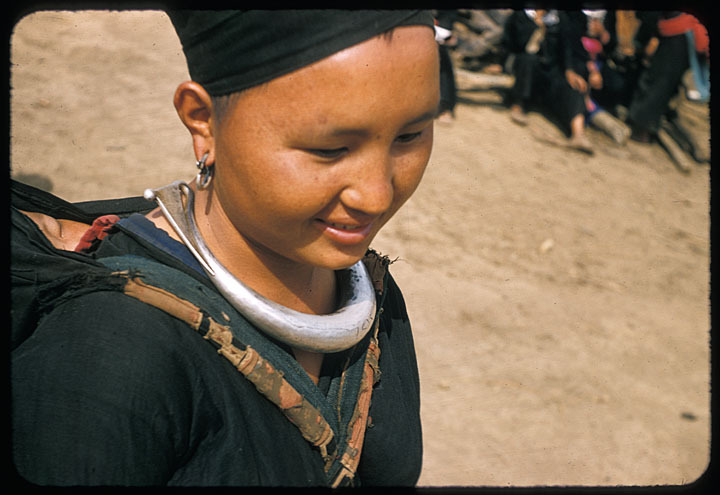 The central San Joaquin Valley has one of the largest Hmong populations in the country. 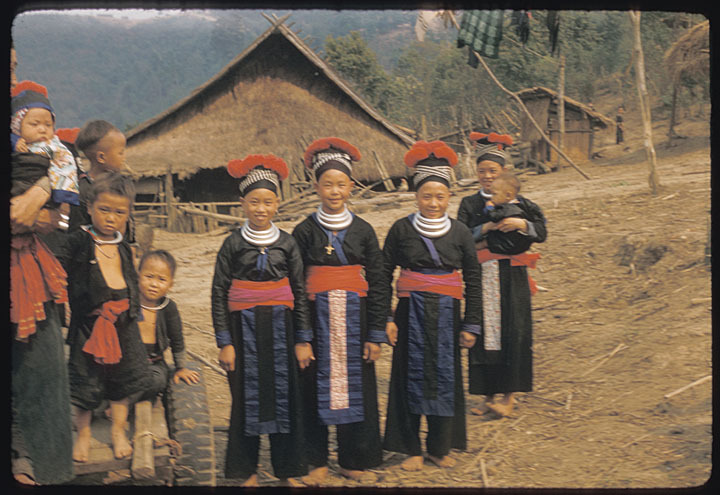 Many Hmong -- some of whom fought beside American soldiers during the Vietnam War -- came here after fleeing Laos. Conflict paved a path to prominence for Gen. Vang, viewed by some as a king and others as George Washington of the Hmong. 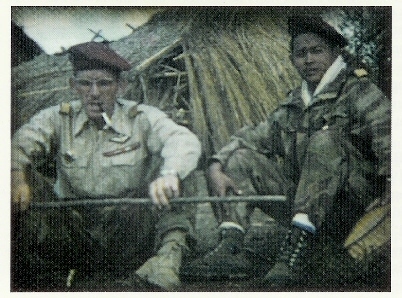 Born in December 1929 to farmers in a Laotian village, he became a teenage translator for French paratroopers fighting the Japanese in Laos during World War II. 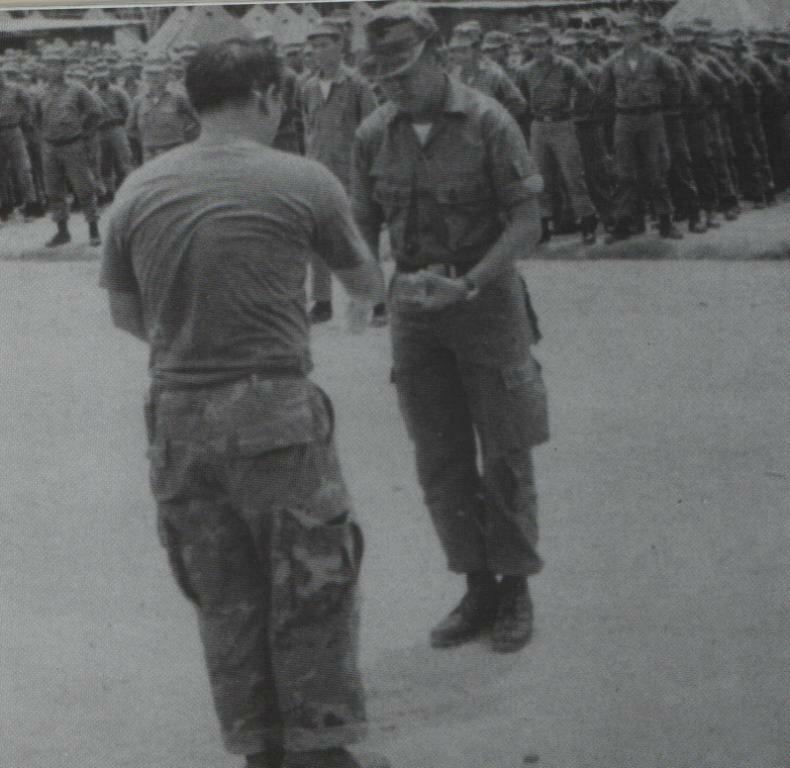 He was selected to train at a French officers' school in Vietnam and became a commissioned officer in the French army. 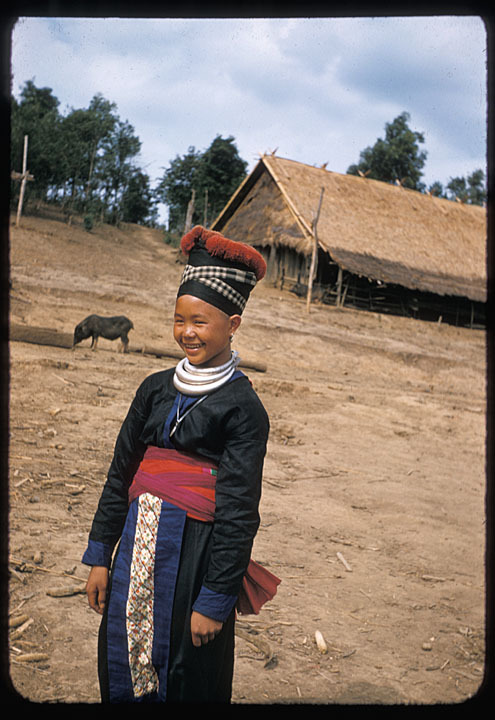 Laotian leaders made him a general, even though the Hmong were a small ethnic minority in the country. 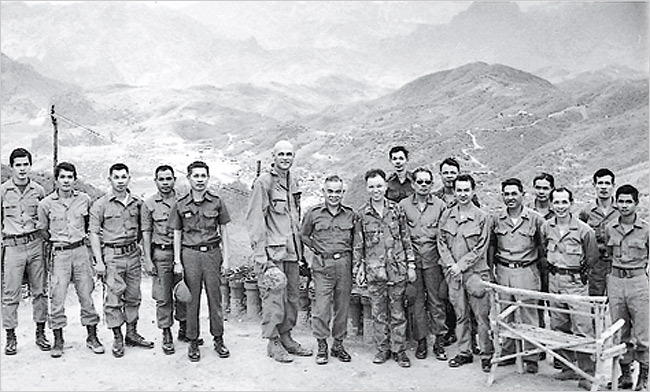 In 1961, Gen. Vang was recruited by the Central Intelligence Agency to lead a secret army of Hmong soldiers against Laotian communists and their North Vietnamese counterparts using routes through Laos to supply their troops. Thov koj mus zoo,...Tej koob Hmoov koj tau muab rau me nyuam Hmoob pem roob....Tswv Ntuj yuav muab txhiab puas zaus tshaj rau koj. 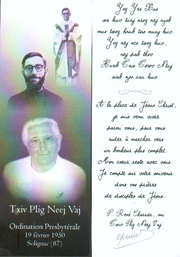 Kuv tseem nco txog koj lub txiaj ntsim uas tau muab rau peb txhua leej, thaum kuv nrog koj cov me nyuam ua si nyob tim Looj ceeb. Tswb, Maiv Kaus, Maiv Ko yog tus hlob...Kuv pom koj ua lub Collège Lao Houam Phao nram Vees Cam, uas kuv cov phooj ywg tshau tsis tau mus txheej siab tau tuaj kawm kom muaj fij xws li luag...Kuv pom koj tseev tsa muaj cov Nais Khu Pab Xab Npas, muab koj nyiaj qab nas, peev qab hub los txhawm kom koj Haiv Hmoob TXAWJ. Kuv pom koj tseev tsim tau ib cov nais mom, kho mob saib kev noj qab haus huv rau txhua lub zos Hmoob. Kom Hais Hmoob muaj kev noj qab nyob zoo. Tej nyiaj txiag luag xa tuaj ua tsov ua rog, seem me me koj coj los txhawb koj Haiv Hmoob kom zoo thiaj vam meej yam coob tus twb xav tsis txog. Yawg Hlob Vaj Pov, Tswv Ntuj tso koj los txhawb Peb Hmoob zaum no, koj yeej ua tau raws lis Peb Hmoob txoj kev thov Tswv Ntuj, Yawm Saub tau ntau txheej ntau tiam los. KOJ mus lawm, koj lub koob npe yuav nyob tsis muaj caij kawg hauv Peb Hmoob lub siab mog. Koj mus lawm los koj nco ntsoov tig rov los saib koj haiv neeg mog. 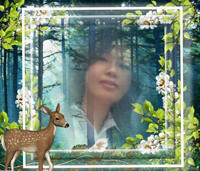 Thov koj tsom kwm kom Peb Hmoob txawj sib hlub thiab txawj tuav rawv koj lub koob. Yam nyob hauv kuv lub siab, kuv hais tsis tau tawm, vim tsis muaj ib los lus yuav hais tau, cia kuv tsa tes ua koj tsaug xwb mog. Yawg Hlob, kuv hais zaj paj huam tsis tag, koj paub hais tias yog li cas. uas thiaj yuav ntim tau li ntawm 30,000 tawm leej neeg tuaj koom tau. Thiaj nws lub cev yuav tsum yog coj mus tso rau tim Washington DC. Thov koj mus zoo mog. koj hais neeg kom nyob nto moo. cuag xub ntab coob cuag xub muv. yuav tuav koj lub koob lub npe mus ib txhim. Maiv Tooj, yog vim li cas yawg hlob G.VP ho tau tag sim neej lawm? nws muaj mob los yog laus heev es thiaj ncaim ntiaj teb lawm? Txawm li cas los zoo siab koj tuaj tso cov xov xwm ntawm no mog. Zaum no ces Hmoob tus Heros yuav ploj ntais hauv ntiaj teb no lawm tiag lauj, yuav tsis muaj leej twg los ua tau Hmoob tus Huab Tais lawm. Vim tias Hmoob mus nyob thoov qab ntuj, txawm lub teb chaws twg tsa tau ib tug Huab Tais Hmoob los yuav tsis muaj feem npaum G.VP . Peb nyob lub teb chaws twg ces peb hwm tus nom ntawm lub teb chaws peb nyob laww xwb, yuav tsis muaj ib tug huab tais Hmoob nyob lwm sab ntuj rau ntiaj teb tib neeg Hmoob hawm tau li Yawg Hlob G.VP lawm. Zaum no Yawg Hlob Vaj Pov dim plaws txoj kev ntxhov siab, txoj kev luag nrhiav txim rau nws tsis tseg nyob USA. Yawg Hlob VP lub txim luag liam rau nws tu nrho hnub no mus. Nws yog peb ib leej txiv uas peb niam peb txiv tus phab ej Hmoob, nws tau txais Tswv Ntuj lub peev xwm los coj cob qhia peb tsoom Hmoob kom haum nrog lwm haiv neeg. G. Vaj Pov lub neej thiab keeb kwm yuav nyob ib txwm ua dab neeg hauv keeb kwm Hmoob. Ua neeg nyob, txawm yog nom yog tswv los yeej khiav tsis dim txoj kev tuag. 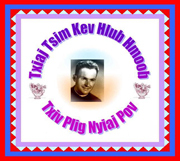 Huab Tais Yesxus kiag, thaum yug los ntiaj teb, twb tau taug txoj kev tuag tib yam. Tiam sis yog peb ntseeg Huab Tais Yesxus lawm, peb yuav ciaj rov los muaj ntuj txoj sia, vim Yesxus ua ntej peb lawv qab. Li no peb tso siab tias leej tib neeg yuav sawv rov los muaj ntuj txoj sia. Peb tu siab hnub no Yawg Hlob Vaj Pov tau ncaim peb lawm, tiam sis peb yuav tau ua siab loj tias txawm yog Yawg Hlob VP thiab peb los yeej yuav tau taug txoj kev no. Thov kom Yawg Hlob VP tsev neeg tau txais txoj kev pab ,keb nplij siab,thiab kev hlub ntawm txhua tus Hmoob rau lub caij tsaus ntuj ntawm Hmoob tus Vaj. Yawm Hlob Vaj Pov, nws txawj tos xyoo laus tas xyoo tshiab tawm tuaj nws mam tso ntiaj teb tseg, yeej yog nws lub caij dua nras, nws thiaj tau mus kaj siab lug zaum no rau lub xyoo tshiab 2011. 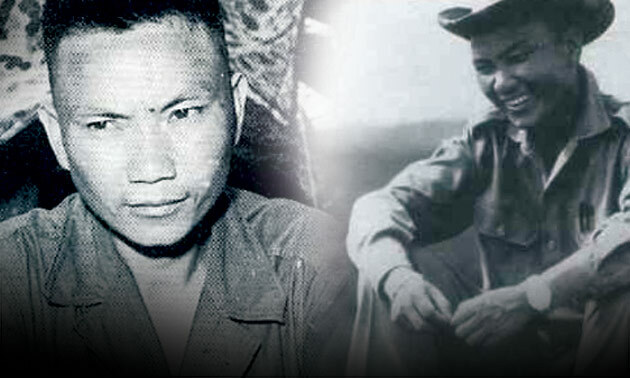 FRESNO, Calif. (AP) — Vang Pao fought the Japanese as a teenager. 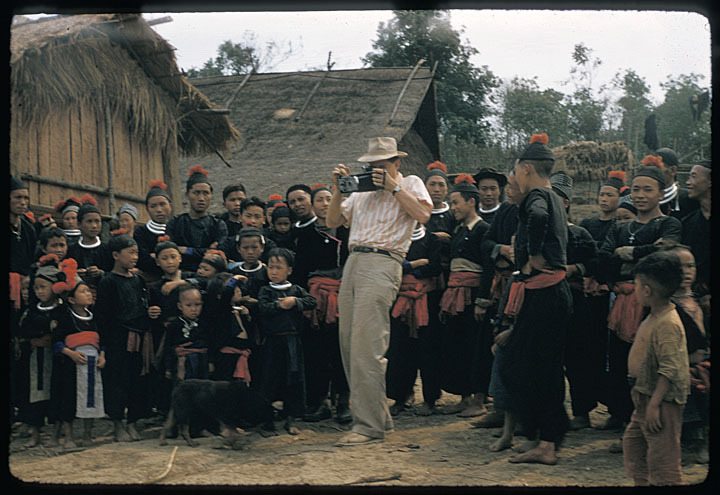 He later led Hmong guerrillas in their CIA-backed battle against communists during the Vietnam War. 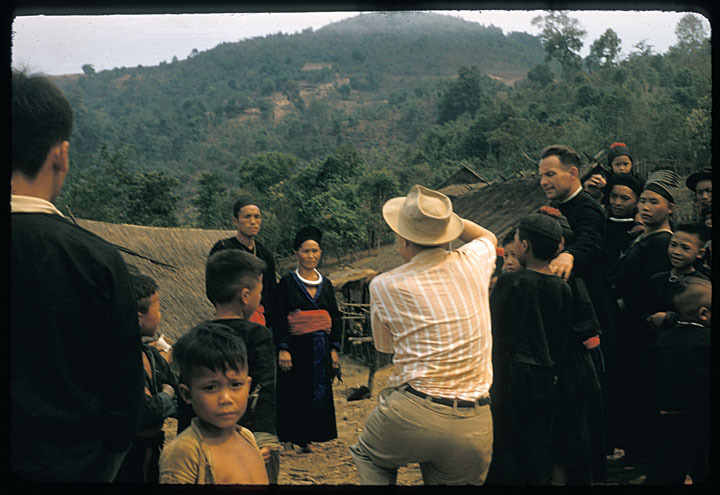 More recently he was a father figure to Hmong refugees who fled Laos for the United States. 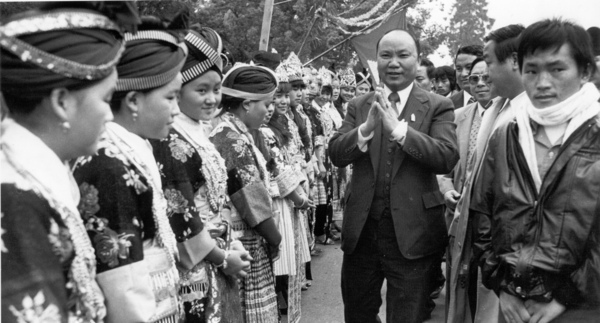 After immigrating to America once the communists seized power in Laos in 1975, Vang Pao was venerated as a leader by his transplanted countrymen who settled mainly in California’s Central Valley, Minneapolis and cities in Wisconsin. Xang Vang, the general’s chief translator who fought by his side, said Vang Pao died Thursday night following a battle with pneumonia, which he caught while traveling in central California to preside over two Hmong New Year celebrations. The general had been hospitalized for about 10 days, Clovis Community Medical Center Michelle Von Tersch spokeswoman said. 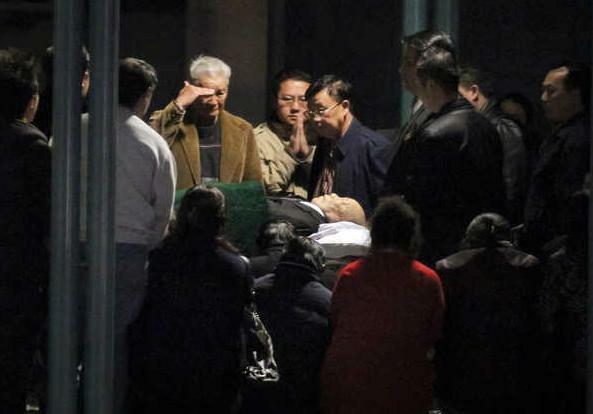 Xiong was at the hospital with a growing crowd of mourners. He said he spoke briefly with family members, who were planning a memorial service, but had no details on what caused Vang Pao’s death. 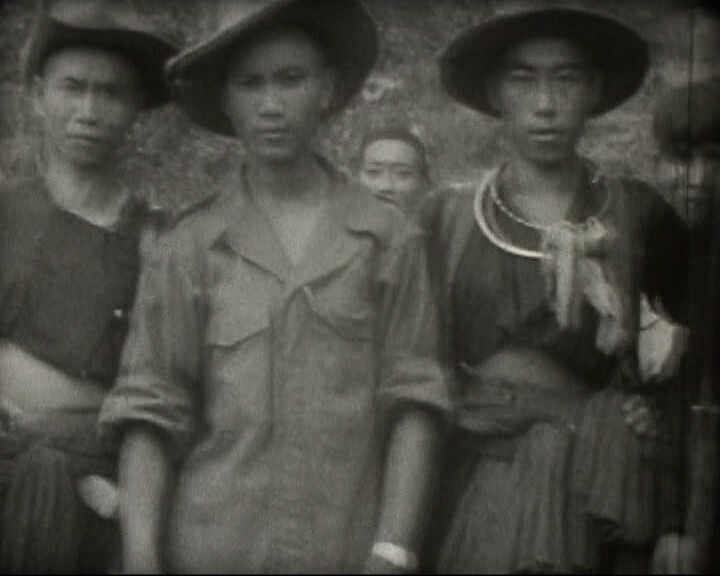 During World War II, Vang Pao fought to prevent the Japanese from seizing control of Laos. 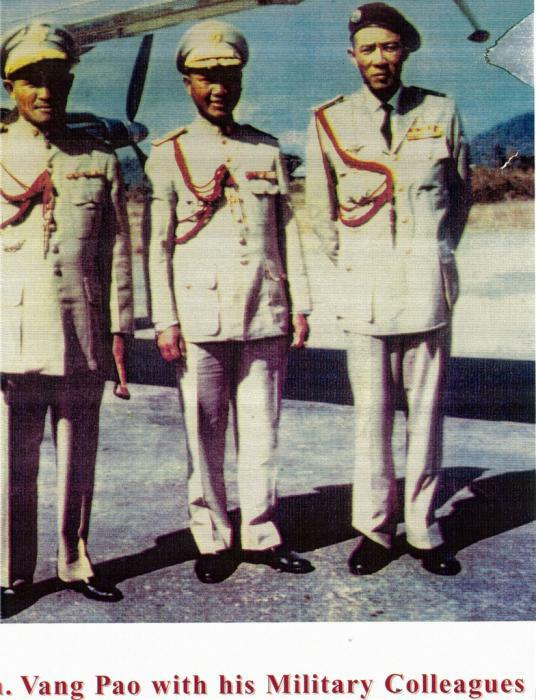 In the 1950s, he joined the French in the war against the North Vietnamese who were dominating Laos and later, as a general in the Royal Army of Laos, worked with the CIA to wage a covert war there. Former CIA Chief William Colby once called Pao “the biggest hero of the Vietnam War,” for the 15 years he spent heading a CIA-sponsored guerrilla army fighting against a communist takeover of the Southeast Asian peninsula. 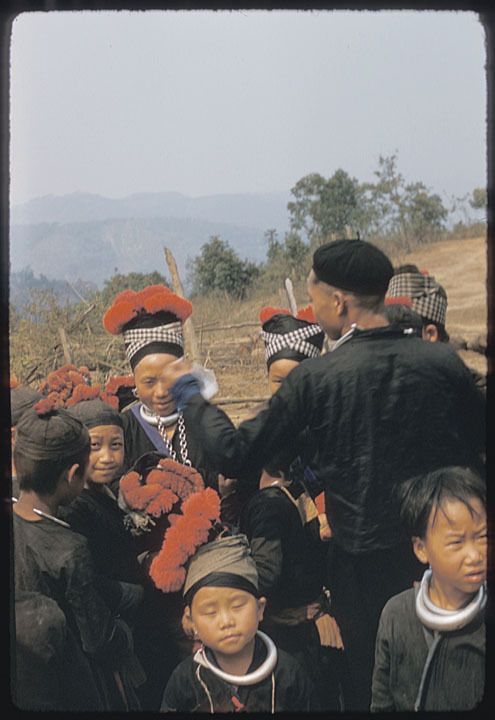 After his guerrillas ultimately lost to communist forces, Vang Pao came to the U.S., where he was credited with brokering the resettlement of tens of thousands of Hmong, an ethnic minority from the hillsides of Laos. 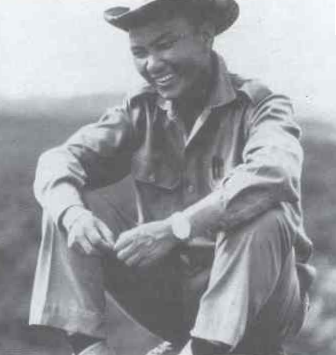 Regarded by Hmong immigrants as an exiled head of state, Vang Pao made frequent appearances at Hmong cultural and religious festivals and often was asked to mediate disputes or solve problems. 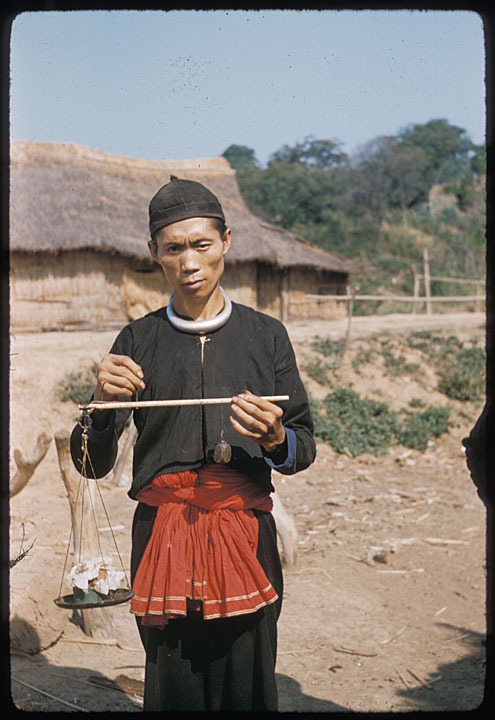 In 2007, however, he was arrested and charged with other Hmong leaders in federal court with conspiracy in a plot to kill communist officials in his native country. Federal prosecutors alleged the Lao liberation movement known as Neo Hom raised millions of dollars to recruit a mercenary force and conspired to obtain weapons. Even after his indictment, he appeared as the guest of honor at Hmong New Year celebrations in St. Paul and Fresno, where crowds of his supporters gathered to catch a glimpse of the highly decorated general as he arrived in a limousine. The charges against Vang Pao were dropped in 2009, “after investigators completed the time-consuming process of translating more than 30,000 pages of pages of documents,” then-U.S. Attorney Lawrence G. Brown said in a written statement. The government arrested the defendants before understanding all the evidence because they felt a threat was imminent, he said. In November, a federal judge in Sacramento threw out parts of the case against 12 other defendants. 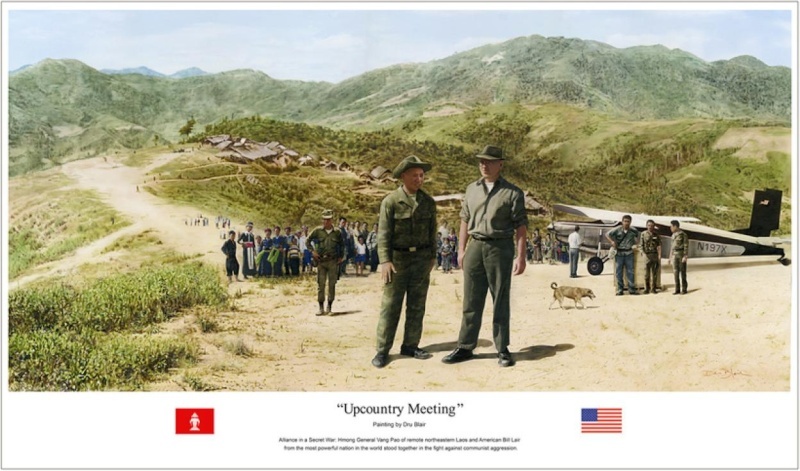 They include retired U.S. Army Lt. Col. Youa True Vang and 11 members of California’s Hmong community, many of whom fought for the U.S. during the Vietnam War. All 12 have pleaded not guilty since their arrests in 2007. Lauren Horwood, a spokeswoman for the U.S. attorney’s office in Sacramento, said she had no immediate comment. Vang Pao had been a source of controversy for several years before the case was filed. In 2002, the city of Madison, Wis., dropped a plan to name a park in his honor after a University of Wisconsin-Madison professor cited published sources alleging that Vang Pao had ordered executions of his own followers, of enemy prisoners of war and of his political enemies. Five years later, the Madison school board removed his name from a new elementary school named for him, after dissenters said it should not bear the name of a figure with such a violent history. 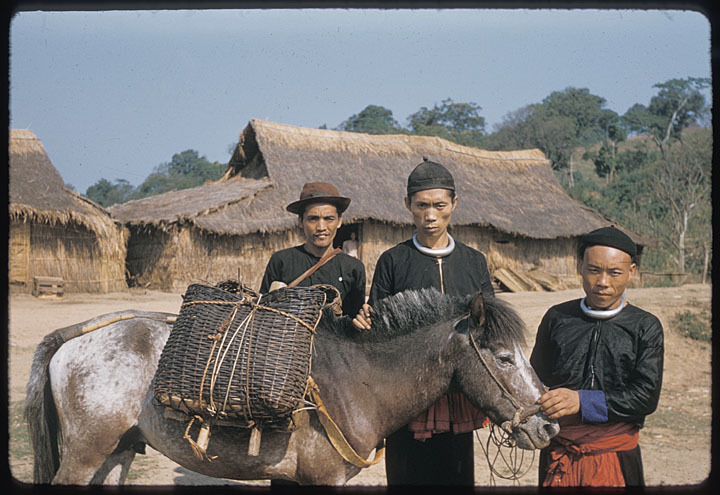 But such criticism meant little to Hmong families who looked to Vang Pao for guidance as they struggled to set up farms and businesses in the U.S. and assume a new, American identity. 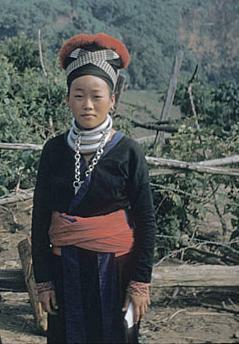 The general formed several nonprofits to aid the refugee communities and set up a council to mediate disputes between the 18 Hmong clans, whose president he hand-picked for decades. “He’s always been kind of the glue that held everyone together,” said Lar Yang of Fresno, who featured an interview with Vang Pao last month in the Hmong business directory he publishes annually. FRESNO, Californie (AP) - Vang Pao combattu les Japonais comme un adolescent. 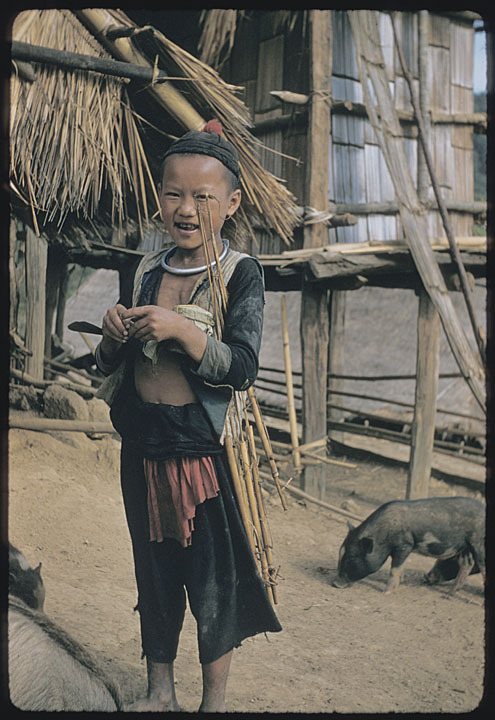 Il a ensuite dirigé la guérilla Hmong dans leur combat soutenu par la CIA contre les communistes pendant la guerre du Vietnam. 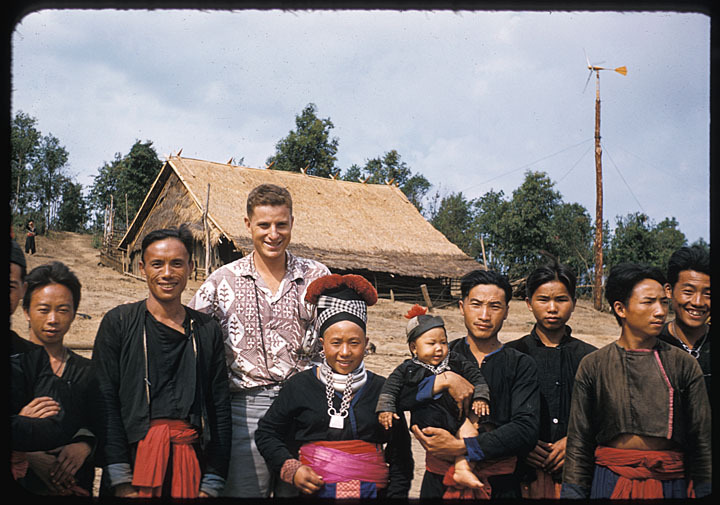 Plus récemment, il était une figure de père pour les réfugiés Hmong qui ont fui le Laos pour les États-Unis. Après avoir immigré aux Etats-Unis une fois que les communistes ont pris le pouvoir au Laos en 1975, Vang Pao a été vénéré comme un leader par ses compatriotes transplantés qui se sont installés principalement dans la vallée centrale de Californie, Minneapolis et les villes dans le Wisconsin. Xang Vang, traducteur en chef du général qui a combattu à ses côtés, a déclaré Vang Pao est décédé jeudi soir après une bataille avec la pneumonie, qui il a attrapé lors d'un voyage en Californie centrale à présider les célébrations du Nouvel An Hmong deux. "J'ai touché sa main, j'ai appelé son nom sur son oreille, et il ouvrit les yeux brièvement," a déclaré Xang Vang. 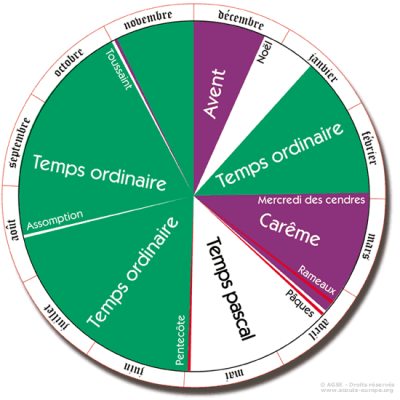 "Il avait été de mieux en mieux pour les derniers jours, mais hier soir, il ne faisait qu'empirer et maintenant il nous a laissé." Le général avait été hospitalisé pendant 10 jours, Clovis Community Medical Center Michelle Von Tersch porte-parole. Xiong était à l'hôpital avec une foule de plus en plus de personnes en deuil. Il a dit qu'il a parlé brièvement avec les membres de la famille, qui avaient l'intention d'un service commémoratif, mais n'avait pas de détails sur ce qui a causé la mort Vang Pao. 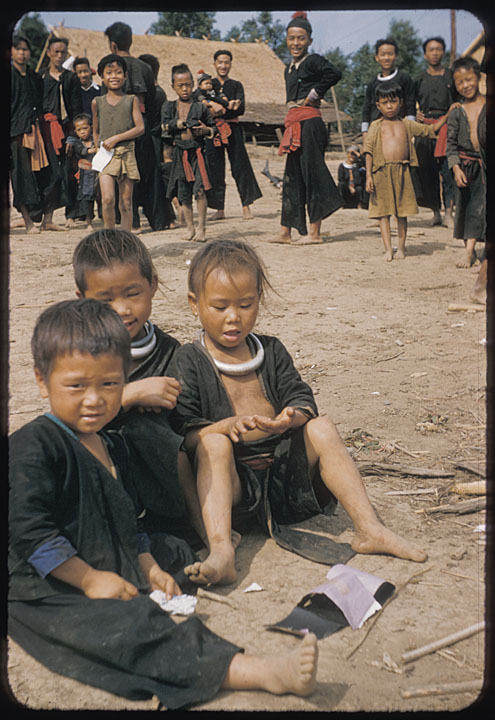 Au cours de la Seconde Guerre mondiale, Vang Pao se sont battus pour empêcher les Japonais de prendre le contrôle du Laos. 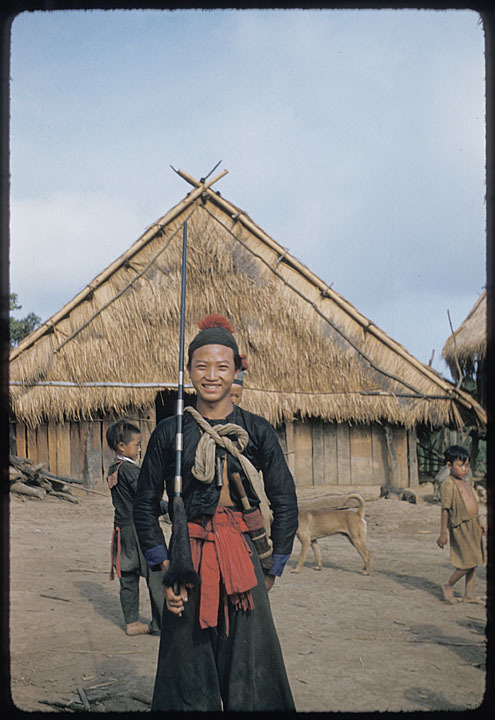 Dans les années 1950, il rejoint les Français dans la guerre contre les Nord-Vietnamiens qui ont été dominant au Laos et au plus tard, comme un général dans l'armée royale du Laos, a travaillé avec la CIA pour mener une guerre secrète il. Ancien chef de la CIA William Colby fois appelé Pao "le plus grand héros de la guerre du Vietnam," pour les 15 années qu'il a passées la tête d'une armée de guérilla financé par la CIA lutter contre une prise de pouvoir communiste de la péninsule du Sud-Est asiatique. 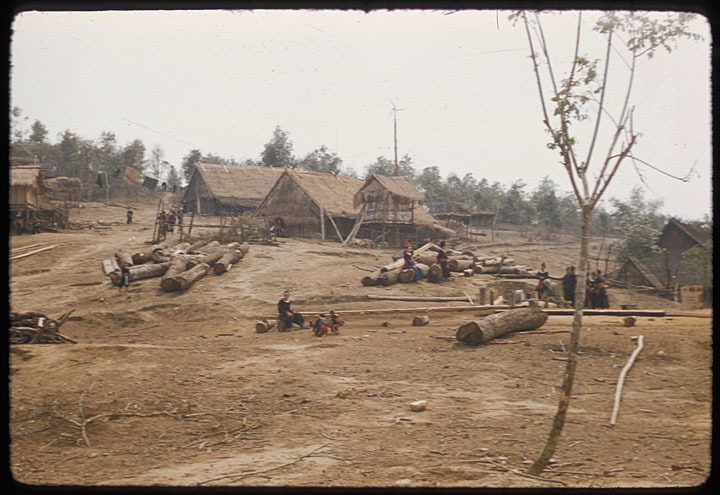 Après sa guérilla a finalement perdu aux forces communistes, Vang Pao est venu aux États-Unis, où il a été crédité de courtage de la réinstallation des dizaines de milliers de Hmong, une minorité ethnique des coteaux du Laos. "Il est le dernier de son espèce, le dernier de la direction qui porte que la mention que tout le monde est cher», a déclaré Blong Xiong, un conseiller municipal Fresno et le premier américano-hmongs en Californie pour remporter un siège au conseil municipal. "Que vous soyez jeune ou vieux, ils entendent son nom, il ya le respect qui va avec." 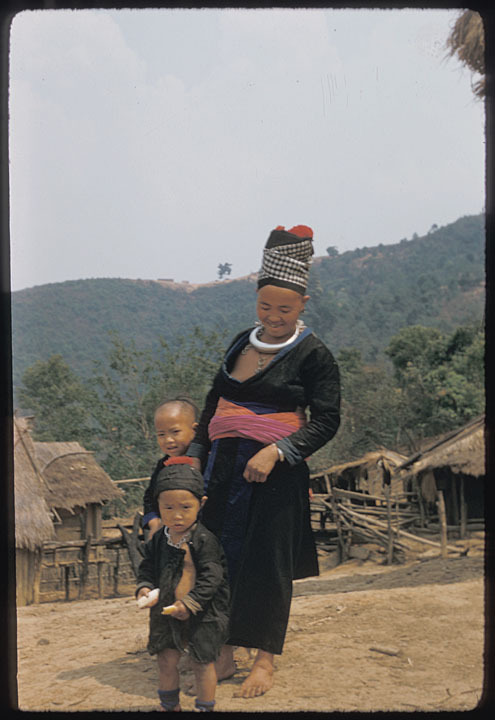 Considéré par les immigrants Hmong comme un chef en exil de l'Etat, Vang Pao fait de fréquentes apparitions dans les festivals Hmong culturelles et religieuses et, souvent, on a demandé à la médiation des différends ou de résoudre des problèmes. En 2007, cependant, il a été arrêté et accusé les dirigeants d'autres Hmongs devant un tribunal fédéral de complot dans un complot visant à tuer des fonctionnaires communistes dans son pays natal. Les procureurs fédéraux présumés du mouvement de libération Lao connu sous le nom Neo Hom recueilli des millions de dollars pour recruter une force mercenaire et conspiré pour se procurer des armes. Même après son inculpation, il est apparu comme l'invité d'honneur lors des célébrations du Nouvel An Hmong à Saint-Paul et de Fresno, où la foule de ses partisans se sont rassemblés pour attraper un aperçu de la très décoré générale comme il est arrivé dans une limousine. Les accusations portées contre Vang Pao ont été abandonnées en 2009, "après que les enquêteurs achevé le processus de temps de traduire plus de 30.000 pages de pages de documents», puis les États-Unis Procureur Lawrence G. Brown a dit dans une déclaration écrite. Le gouvernement a arrêté les accusés avant de comprendre tous les éléments de preuve parce qu'ils se sentaient une menace était imminente, at-il dit. En Novembre, un juge fédéral à Sacramento jeté des pièces de l'affaire contre 12 autres accusés. 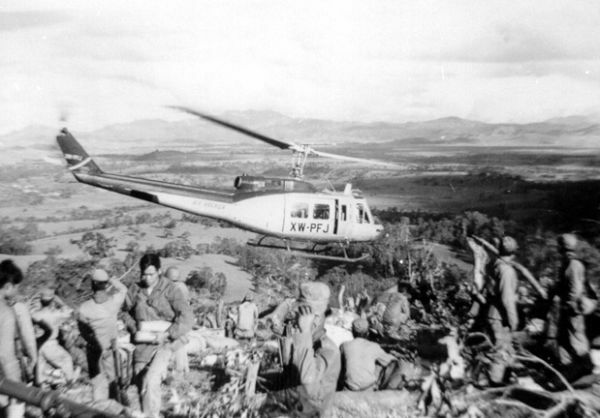 Ils comprennent la retraite de l'armée américaine le lieutenant-colonel youa True Vang et 11 membres de la communauté Hmong en Californie, dont beaucoup se sont battus pour les États-Unis pendant la guerre du Vietnam. Tous les 12 ont plaidé non coupable depuis leur arrestation en 2007. "Vang Pao a été un grand homme et un vrai héros américain. 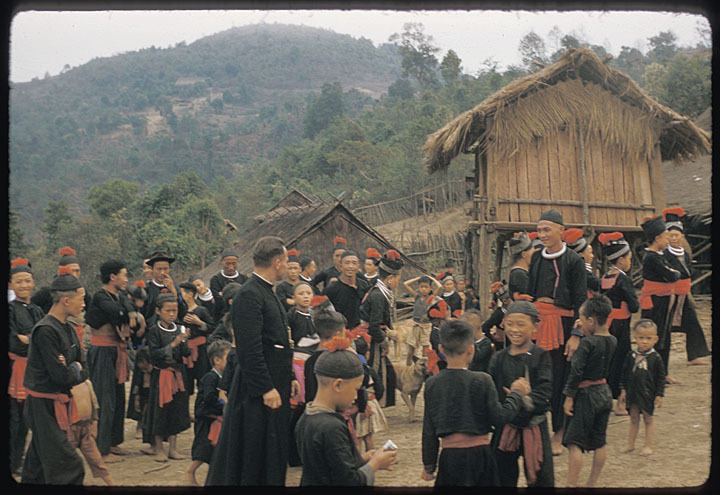 Il a servi son pays pendant de nombreuses années dans sa patrie, et il a continué à le servir en Amérique ", a déclaré le procureur William Portanova, qui représente l'un des accusés restants Hmong. «Dire que ces hommes âgés seraient dans une position pour tenter de renverser un pays est, sur sa face, presque risible." Lauren Horwood, une porte-parole pour le bureau du procureur des États-Unis à Sacramento, a déclaré qu'elle n'avait aucun commentaire immédiat. Vang Pao a été une source de controverse pendant plusieurs années avant que l'affaire a été déposée. En 2002, la ville de Madison, au Wisconsin, a chuté d'un plan au nom d'un parc en son honneur après une Université du Wisconsin-Madison professeur cite des sources publiées, alléguant que Vang Pao avait ordonné les exécutions de ses propres partisans, des prisonniers de guerre ennemis et de ses ennemis politiques. Cinq ans plus tard, la commission scolaire Madison a retiré son nom d'une nouvelle école primaire porte son nom, après dissidents dit qu'il ne devrait pas porter le nom d'un personnage avec une histoire violente. 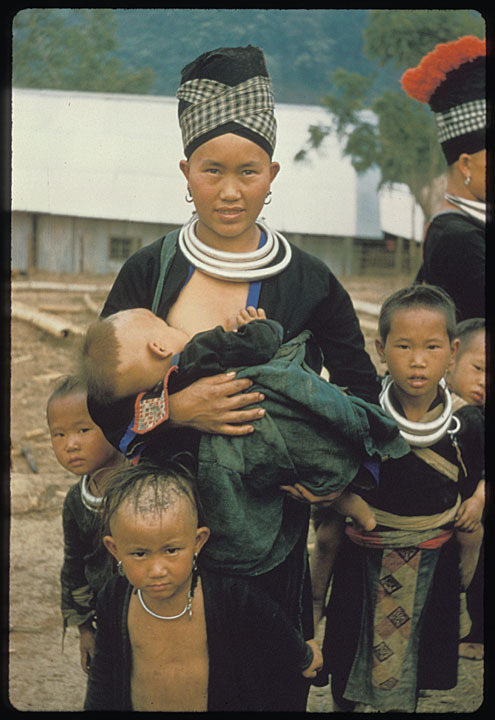 Mais ces critiques ont été peu significatifs pour les familles Hmong qui se tournent vers Vang Pao d'orientation qui doivent lutter pour mettre en place des fermes et des entreprises aux États-Unis et d'assumer une nouvelle identité américaine. Le général sans but lucratif formé de plusieurs à l'aide des communautés de réfugiés et de mettre en place un conseil de médiation pour les conflits entre les clans Hmong 18, dont le président, il cueillies à la main depuis des décennies. "Il a toujours eu la gentillesse de la colle qui a tenu tout le monde ensemble», a déclaré Yang Lar de Fresno, qui présentait une entrevue avec Vang Pao le mois dernier dans l'annuaire des entreprises Hmong, il publie chaque année. "Il est celui qui a toujours tout résolu ... Je ne pense pas qu'il peut être rempli par une personne à ce point. Il y aura probablement une quête d'identité. Il y aura beaucoup de chaos pour un petit moment, jusqu'à ce que les choses s'installer. " 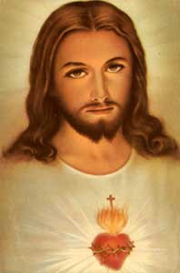 Muaj tseeb tiag lawm mog zaum no ces peb rov ua ntsuag dua lawm thiab. 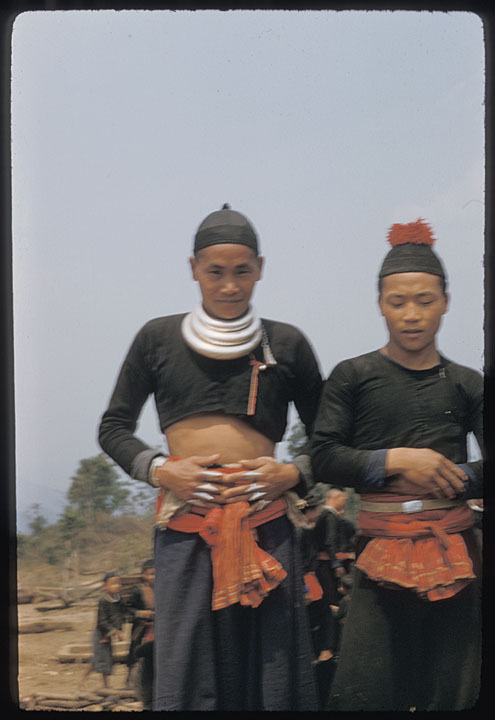 Naghmo thaum kuv hnov kiag li ua rau kuv ib ce tuag tag thiab quaj quaj pw tsis tsaugzog li os. Tos ho muaj tej xwm no tsis zoo tshwmsim rau txiv Hlob los twb vim xyoo no Hmoob 18 Xeem nyob California los sib txeeb lub tsiab 30 hauv Fresno hais tsis haum ces tawg ua 2 lub lawm nws hais lawv tsis kam yuav yog li nws tuaj koom lub hauv qub uas Hmoob ib txwm ua thiab nws quaj quaj ces ciali mob kiag tom tshav pob lawm thiaj li tau tag simneej. Vim Hmoob txoj kev siab phem ces zaum no Hmoob yuav paub txoj kev txomnyem lau. Naghmo lub xovtooj cua hais lus uas kuv qhia rau nej ntawd Hmoob tuaj tham muaj txog 800 tawm leej tus twg los quaj tag. Tham li xwb kuv yuav tau mus lawm. Yuav tsis muaj neeg los coj tau Hmoob li GVP lawm. Leej twg thiaj li yuav muaj txhua yam li nws muaj los coj Hmoob thiab hlub Hmoob? Tsuas yog 1/100 lawm xwb os qhov yuav muaj tus los ua li. hlub thiab pab Hmoob lawm. Yog tsis muaj tus sawv los ces nej yog cov niag neeg txom fav xwb os. Lam sau pajhuam rau cov neeg twm xeeb nyeem es yog qhov twg tsis zoo no los nej muab kho tau. Nej yog Peb Hmoob qhov chaw cia siab, nej yog Peb Hmoob qhov chaw vam khom. Kuv pom nej muaj kev sib koom siab los npaj Txiv Huab Tais Hmoob lub ntees yam zoo kawg nkaus rau lub sam xeeb. Txhua qhov uas muaj Hmoob, nej npaj tej yam zoo, nco txog Yawg Hlob Nais Phoo, kuv pom nej muaj lub siab loj, siab zoo, kev koom tes, xub ib rag, hneev ib hluas, ua rau kuv los kua muag...Los kua muag rau nej lub laj lim peev xwm, nej lub siab zoo. Ua tsim nyog rau Txiv Nais Phoo tej koob hmoov uas nws tau pab peb Hmoob nce ib theem siab kawg nkaus hauv Liv Xwm yam tsis tau muaj dua los. "Ua li koj puas tau pom Huab tais Vaj Pov thiab? 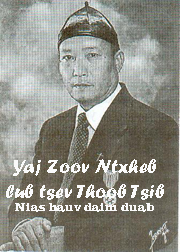 Hnob hais tias nws muaj nyiaj heev, nplua nuj heev, nws tseem muaj TSHEB YA (tsheb ya= dav hlau)tib si? " 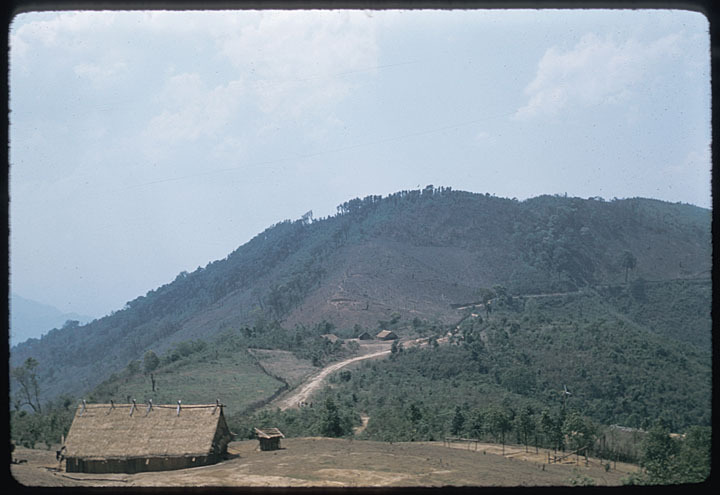 Txiv Hlob Vaj Pov ua hauj lwm nrog Fab Kis tswj kav Ees Dos Cis 1953txog lub 3hlis 1955. Khoom mam tuaj txhais ua lus Hmoob. 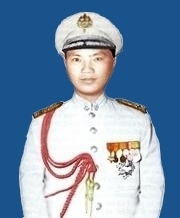 Nov yog thaum Tsov rog Dien Bien Phu, Capitaine Sassi coj 2.000 tug Hmoob nrog rau Vaj Pov sawv kev ntawm Khaas Khaib, Xeev Khuam mus ko taw rau Dieb Bien Phu. Yuav mus tso Dien Bien Phu, tab sis mus txog tog kev xwb ces Dien Bien Phu tawg lawm, nom tswv tom qab thiaj muab lus kom lawv rov qab, yog tias lawv mus ntxov zog, ntshe peb twb tsis muaj peb tus Yawg Hlob Vaj Pov los rub Peb Hmoob tes txog niaj hnub no. 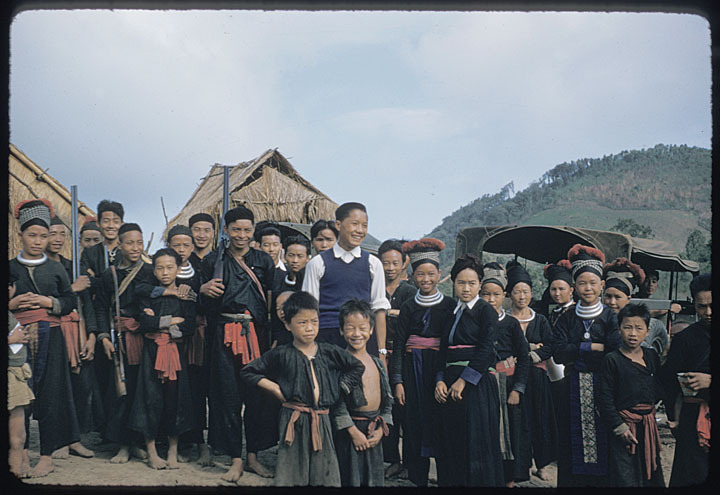 Mus ko taw, Khaas Khaib rau Dien Bien Phu yog ib hlis thiaj txog. 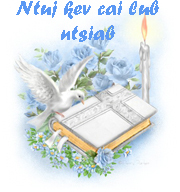 Ntawm kuv tus kheej, muab ib feeb los xav tias ua cas Hmoob As Mas Liv Kas ua txuj ua ci, nrhiav txhua yam zoo txhua txoj kev los ua Txiv Hlob Vaj Pov lub ntees kom tiav thiab tsim nyog li Peb Hais Hmoob lub npe uas peb tsis muaj ib lub teb chaws nyob. Kuv xav thiab xav, kuv kuj xav tias tsoom kwv tij Hmoob Fab Kis txawm tsis yog nrog Yawg Hlob Vaj Pov mus nyob koom ib lub teb chaws los twb yog muaj NWS ua kaus roos sawv daws es sawv daws thiaj tau tuaj nyob rau Fab Kis teb. 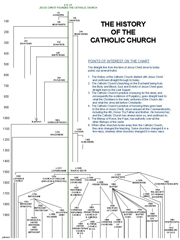 Yog tim li cas, nej yuav nyob tsis nti li nej tsis tau noj dua Yawg Hlob cov mov poob saum ntuj los yug nej txoj sia, zoo li nej tsis tau siv tej nyiaj txiag uas nws tau nrhiav thiab faib rau nej thiab siv nws lub hwj chim pab nej tawm hauv Yeej Thoj Nam tuaj mus rau teb chaw thib 3. Yawg Hlob Vaj Pov tag sim neej, tsis yog nws tso cov Hmoob Miv Kuj tseg xwb, nws tso tag nrho tsoom Hmoob thoob ntiaj teb tseg...Yog tim li cas nej yuav tsis kam hais ib los lus, qee ib npib ib xus daj ua nej tug mus thiab Yawg Hlob Vaj Pov lub ntees li...Nej noj qab pw zoo, nej rau ncoo siab xav es nej puas tu siab....? 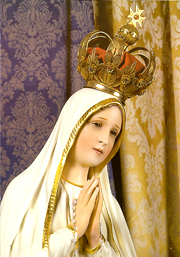 Hais ncaj, yog tsis muaj Yawg Hlob Vaj Pov lub meej mom los roos nej, nej txhua tus yeej tseem nyob pem roob hnia quav qaib quav npua, pw txaj tuav cos nyob tsev hnub qub...Nrog liab cuam cau nyob toj roob hauv tsua li txheej thaum ub...Tsis hloov li...Nej puas pom cov Hmoob 30 xyoo thiab cov nyob Suav teb, Nyaj Laj teb, Thaib teb...Leej twg thiaj yuav tau noj qab pw sov li nej...Pw xwb los tau noj, nyob xwb los tau hnav....! Maiv Tooj, kuv yog ib tug me nyuam neeg dog dig xwb, tiam sis kuv yog Hmoob, kuv hlub tshua txog peb Txiv Nais Phoo Vaj Pov uas yog peb niam peb txiv tus Phab Ej thiab tus thawj coj, tus nom tus tswv tuav Hmoob lub npe. Kuv xav nug seb Txooj Tub neb puas hnov qhov twg uas nyob Fab Kis Teb, lawv puas muaj sib sau koom siab mus zov ib qho chaw li nyob MN USA uas tso Txiv Nais Phoo Vaj Pov ib daim duab, peb Hmoob Fab Kis Teb puas muaj tej yam zoo li no ua chaw nco txog G.Vang Pao. Yog muaj no koj tuaj tshaj tawm, kuv yuav coj kuv niam thiab tsev neeg mus fim, mus nrog txhua tus zov ua chaw tshua thiab ua chaw nco txog G. Vang Pao lub txiaj ntsim, peb yuav taws tswm ciab thiab sib pab nyiaj xa mus rau cov thawj coj ua G.Vang Pao lub ntees. Ua tsaug.